It's good to be Adam Sandler. Apparently, Sandler's been going on dope vacations on the studios' dime for almost his entire career. The Blended actor stopped by Jimmy Kimmel: Live! 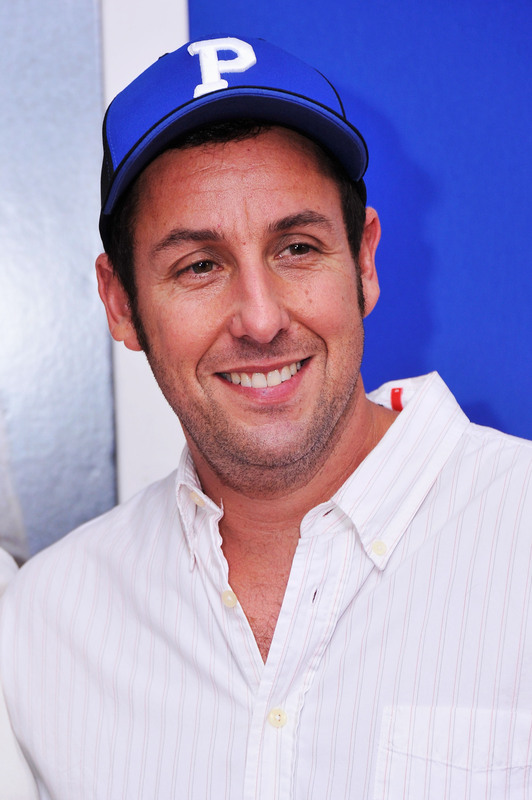 on Wednesday night and Sandler admitted that he's been choosing movie projects based on vacation destinations since 2004. Just the perks of being Adam Sandler, I guess. I have done that since 50 First Dates. It was written in another place. I said, ‘Imagine if we did it in Hawaii, how great that movie would be.’ And they said, ‘Yeah, that's a very artistic idea.’ I've been doing that ever since. As Mr. Deeds ' Emilio would say, "very, very sneaky, sir." I wish my "very artistic idea" to have every class outside in high school and college was met with that sort of praise and acceptance. But, Sandler was going on awesome vacations for film shoots even before he consciously started basing his career choices around it. God, being Adam Sandler rules. So how many epic vacations has he taken on a studio's dime? Let's take a look. According to IMDb, Sandler's hockey player-turned-golfer comedy, Happy Gilmore, was filmed exclusively in British Columbia. The majority of the golf course scenes were shot at Pitt Meadows at the Swan-e-set Bay Resort & Country Club. Apparently, Sandler loved Hawaii so much when he filmed Punch-Drunk Love that he just had to go back for the Kimmel-cited 50 First Dates. The actor's character, Barry, decides to follow his love interest to Hawaii on a business trip to save his chance to escape loneliness, the Hawaiian vacation was filmed at Wakiki Beach and Kahala Mandarin Oriental Hotel. This is the film that started it all — at least, according to Sandler. The rom-com stars Sandler as a man with a fear of commitment until he meets Barrymore, the girl of his dreams with memory loss. Sandler's character lives in Hawaii, and most of the filming locations were in O'ahu — with the exception of a beautiful scene filmed in Alaska's Blackstone Bay. Sandler's part in the second Deuce Bigalow film is technically uncredited, but he was there as Javier Sandooski. Meaning he also visited Amsterdam and a handful of beautiful locations in Southern Spain, where the 2005 comedy was filmed. The James and Sandler-helmed comedy about two firefighters that claim to be gay and in a relationship to score domestic partnership benefits shuffled up to Buffalo, NY. And over the border, to the Canadian side of Niagara Falls where the couple's marriage was filmed on location. If you can't go to the real place, at least go somewhere equally as great, right? Well, for You Don't Mess With The Zohan, the beach scenes that were supposedly located in Tel Aviv, Israel were actually filmed in Cabo San Lucas. Adam Sandler really loves Hawaii. The actor returned — but to a few different islands — to film his 2011 comedy with Jennifer Aniston, Just Go With It. The hotel scenes were filmed at the Grand Wailea Resort in Maui. The 2013 sequel to Sandler's Grown Ups featured the actor's character Lenny back in his hometown with his family so that his kids could grow up with his friend's children. The comedy was shot exclusively in Massachusetts, with a little side-trip out to beautiful vacation destination, Cape Cod. In Sandler's latest collaboration with Drew Barrymore, the pair find themselves trapped at a resort in South Africa with their respective children after a bad blind date on a safari. The film was shot on location South Africa — can you say, COOLEST VACATION OF ALL TIME? Images: Universal (2), Columbia (7), Warner Bros.